Gut bacteria, which number more than 100 trillion cells, have more of an impact on our health than medical experts previously realized. 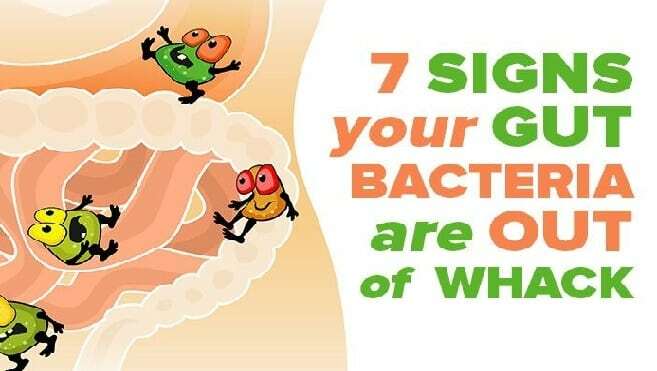 But not all gut bacteria are created equal. Among other things, “good” gut bacteria improve digestion, strengthen the immune system, and manufacture the vitamins your body needs. On the other hand, “bad” gut bacteria or simply a lack of good bacteria can cause digestion nightmares, skin conditions, and vitamin and mineral deviancies that can lead to more and more problems, such as hormonal imbalances, poor sleep and lack of energy. Believe it or not, your gut could be to blame for certain mental disorders. Stress can wear you down, make you anxious, and increase your blood pressure… and it can also wreak havoc on your gut! Stress is inevitable, no matter how hard we try to avoid it. That isn’t an issue — until you let it go on for too long without managing it. Un-managed stress raises cortisol levels, which can stop the gut from working properly. If you’ve been stressed for the past few months (or years, or decades) but haven’t acted to manage your stress, you’re more likely to have an unhealthy gut. Avoid sugar, drugs and other toxins to maintain a healthy gut. In addition to eating fermented foods (a great natural source of good gut bacteria), you can restore your gut health faster by taking a daily probiotic supplement. Our ancestors were a lot less concerned with hygiene than we are. This actually helped them pick up plenty of good gut bacteria along with the soil and other dirty things they encountered. You can use probiotic supplements to “make up” for that lost good bacteria. There’s a wide range of probiotic supplements available. And just like with gut bacteria, some are better than others. Look for supplements that contain multiple strains of Lactobacillus and Bifidobacterium. Get plenty of sleep and take time to reduce your stress levels to improve gut health. More science is emerging every day connecting issues with the gut to issues throughout the body and mind. That’s good news for you! With knowledge and smart action, you can quite literally heal yourself from the inside out. The recipe for a healthy gut is simple. Avoid toxic foods and substances, add in some fresh vegetables and fruits and probiotics, and make managing your stress a priority. It won’t happen overnight, but it will happen. Changing your gut just might be the first step to changing your life. This is just a “how to begin” article and while the steps here are a good place to start, there are other important steps to take with your practitioner when more severe digestive conditions exist.